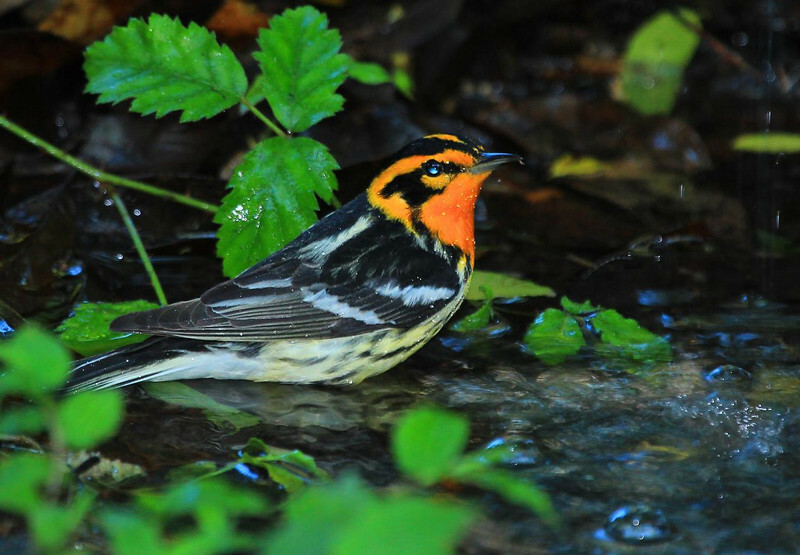 Blackburnian Warbler at High Island. Taken at 7:30 PM, in the fading light of dusk just before full darkness sets in, using flash. Many birders and photographers leave the Park long before this time and miss such scenes. Some of the nicely marked birds don't come out until the park is quiet, and this one had the best colors of the day for Blackburnians.